Keep sending us your questions! They provide useful answers that can help others understand us better. There are many reasons why choosing to join Clanabogan is a great idea. You may wish to visit Northern Ireland, improve your English, mix with different cultures, gain practical skills, develop your people skills, experience life in community or share interests with others. 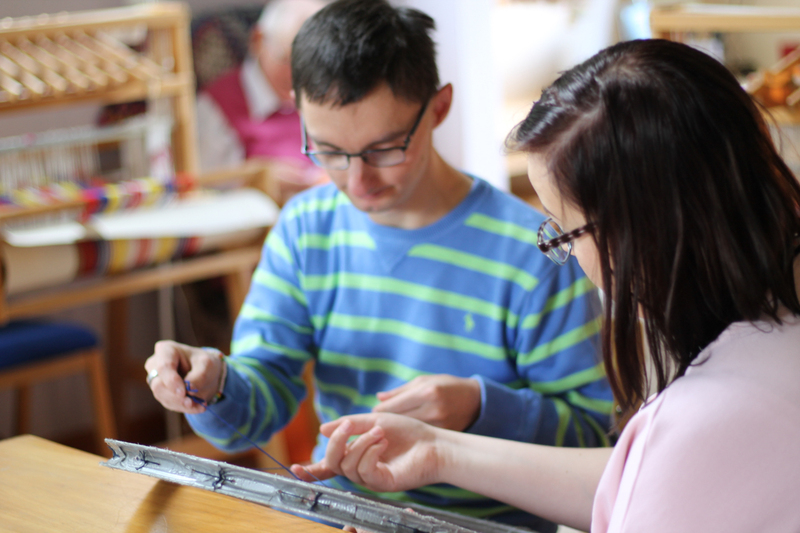 Whatever your reasons for thinking about joining us, we expect you to be interested in living and working with people with learning disabilities. What age range are your volunteers? The minimum age is 18 years. Whilst there is no upper age limit most of our short-term volunteers are aged between 18 and 26. Occasionally we can offer vacancies to people younger than 18, for very specific internships, e.g. social-agricultural. Work then is restricted to practical tasks on the land and in the households. This also applies to Waldorf School and other school placements. We prefer it if volunteers can commit to a year, but depending on our vacancy situation and the time of the year (usually the summer), we can accept people who can come for around 3 months. We welcome volunteers who want to come for longer; there is no maximum length of stay! Do you offer study placements? We can offer placements to social work and other college or university students, and may be able to provide practice supervision. Internships are often for 3-4 months or less, but longer placements may be considered. Many of the people that we support have speech impairments and can find talking and understanding speech difficult and sometimes frustrating. We therefore need our volunteers to have a good command of spoken English, and for report writing, to have basic written English language skills. Can I apply if I don't live in Europe? If you are a citizen of a country outside the European Economic Area (EEA) you will require UK entry clearance. You can only apply for this once you have been accepted and invited by Clanabogan. As a prospective volunteer you will apply for entry clearance to UK Immigration under the Tier 5: Charity Workers route. As part of the information which the community will send you, they will provide a unique Certificate of Sponsorship (a number) that you will need to apply for your visa. Your visa will be valid for working and living in Clanabogan only and will limit your stay to 12 months maximum. We will send you guidance on how to apply for your visa. At the end of the visa period, you will have to return to your home country. Should you wish to stay for a further period with Clanabogan or a different UK community then you will need to make a new UK visa application from your home country. Such a further stay in the UK may or may not be granted. Do I get paid for volunteering? You will receive free accommodation, food and a small allowance to cover personal needs whilst here. Your travel costs to and from Clanabogan are normally your responsibility. Accommodation is provided within the community. You will live in a home with a House Coordinator, people with learning disabilities and other volunteers. You will have a bedroom to yourself, but are likely to share a bathroom. Mealtimes are important at Clanabogan. We like to eat meals together around a table, using organic homegrown and homemade food. We can cater for special diets, such as vegetarian, vegan or celiac. How much time off will I get? You will get one and a half free days a week and you will also have some free time at evenings and weekends depending on the routines of the house you are based in. Fulltime farm co-workers have 2 free days, as they have a different routine and working hours. If you stay longer than three months, you will also have some holiday allowance, which will be arranged within your house and workplace. What will be my tasks and responsibilities? After your initial induction training you will be asked to provide support in a variety of forms. You will provide one to one support to people with a learning disability or other support needs around dressing, personal hygiene, mealtimes, recreational activities and participation in the daily work routine. During daytime, you will help in the house with meal preparations, or in one of the workshops (land, bakery, weaving or wood workshop). You will normally be part of a house community, led by a House Coordinator, where you will live together with other volunteers and a number of residents with learning disabilities. General domestic tasks and evening activities in the house are shared out amongst all co-workers. You will take part in regular house and community meetings held to discuss aspects and arrangements of practical daily life or matters of wider community significance. I am not trained, how will I know what to do? As a new volunteer, you will be required to complete a programme of induction training. This will cover the policies and procedures relevant to working in Clanabogan and the tasks that you will be doing. You will learn about the community’s underlying philosophy, which includes an introduction to anthroposophy. Where do you advertise long term co-worker and salaried vacancies? For long-term co-worker and/or salaried vacancies our website, some Camphill/anthroposophic magazines, NI recruitment sites and local press. Equally, you can contact our office to find out if we have current vacencies - and if not, it is always great for us to meet you, in case we can offer you a post in future. In some situations, Clanabogan will be looking to recruit a Volunteer or employee of a specific gender. While Clanabogan upholds the principles of non-discrimination this need arises at times to preserve the privacy and decency of residents who require close personal care. Do I have to be a practicing Christian? No. However, life in Clanabogan is lived in tune with Christian ideals and the Christian festivals are celebrated. We ask you to respect these. In Clanabogan there are Sunday celebrations. Those of a different faith or persuasion often make a valued contribution to the social and spiritual life of the community and we encourage them to do so. Co-workers and residents are free to attend a church of their choice. What is a criminal records check? Our volunteers and employees live and work with vulnerable adults and therefore we are required to complete an ACCESS NI check and a similar police check from the volunteers` or employees` host country. The process for this will be explained and there is no cost to you. Yes, there is Wi-fi available. Firstly, we recommend that you read through all the FAQ’s to make sure you meet the basic criteria and still want to apply. Then contact us so that we can send you an application form. We receive lots of applications, so make sure yours stand out by telling us about yourself and why you want to volunteer with us (2 pages is plenty!). Will I be asked to supply a reference? You will be asked to supply the names and contact details of 2 people who can tell us about your skills, experience and character. The referees must have known you for at least two years, and should not be a friend or family member.